A lot of Indians have been travelling to Australia for better job opportunities, study and tourism over the years. 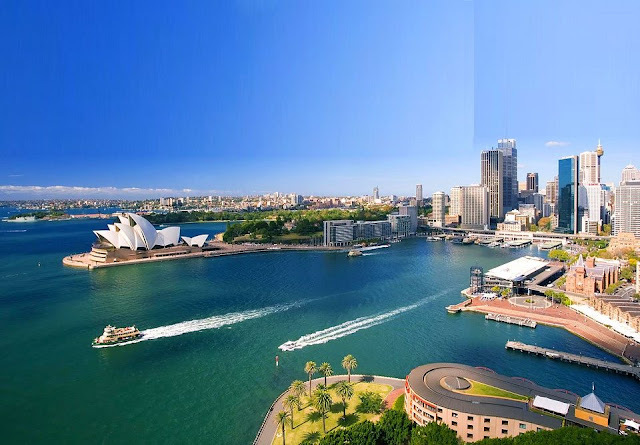 This post is an attempt to make you aware of the Australia visitor visa processing services. Your visa process begins by first registering yourself under the Australian Skill list. This list contains all the information you would like to know about different job categories available with Australian government. You need to have some skills and job experience that the Australian government is looking for. You can also take proper advice to check if you qualify for visa application. Once you have checked the qualification criteria for visa application you need to proceed to the next step which is a type of form-filling. In this form, you have to mention your best points on why you should be granted Australian visa for immigration purposes. This is the first place where you get to display your skills and you cannot skip it. You will be given points based on this form-filling. You have to provide information regarding your previous work experience, your age, your job type and your language skills. If some of your people are already living in Australia, then they will certainly get you some extra points. If your program is funded by the state government, then you will get additional points for it. After getting optimistic results from point assessment category you will proceed forward towards skill assessment test. This will be a simple test aimed at checking your post-secondary education status and your job experience. Each type of job has its own assessment test which is superseded by various assessing bodies. Once you clear the assessment test you can move towards writing your EOI or Expression of Interest. Your EOI will show your skill levels. Before you apply for visitor visa Australia, you must fully go through all the documents. Your EOI will come handy while you will be doing your registration under the Australian Skill Migration Agenda. This will get you more invites from the Australian government for your visa application. Getting an EOI approved is a time-consuming process and its tenure can vary between 4 to 18 months. You will get all the support you need during the application process. It will be beneficial for you to have a firm knowledge about the application method. According to your need you can apply for three different types of visa. You can either apply for Skill Independent Visa or Skilled Nominated Visa or Skilled Nominated or Sponsored Visa. Whether you qualify for a certain type of visa will be completely decided on the points you score in the assessment test. If you want, you can take some time out and take a preparation for the assessment test, appear for it in time and get qualified. Australia is a lot of fun to work and travel once you get your visa approved.